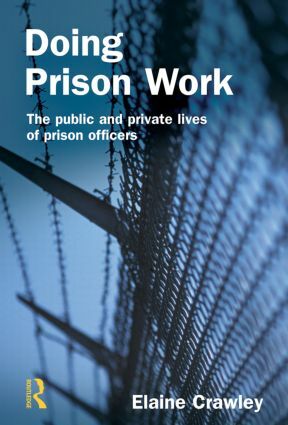 This book provides a much-needed sociological account of the social world of the English prison officer, making an original contribution to our understanding of the inner life of prisons in general and the working lives of prison officers in particular. As well as revealing how the job of the prison officer - and of the prison itself - is accomplished on a day-to-day basis, the book explores not only what prison officers do but also how they feel about their work. In focusing on how prison officers feel about their work this book makes a number of interesting revelations - about the essentially domestic nature of much of the work they do, about the degree of emotional labour invested in it and about the performance nature of many of the day-to-day interactions between officers and prisoners. Finally, the book follows the prison officer home after work, showing how the prison can spill over into their home lives and family relationships. Based on extensive ethnographic fieldwork in different types of prisons (including interviews with prison officers' wives and children as well as prison officers themselves), this book will be essential reading for all those with an interest in how prisons and organisations more generally operate in practice.